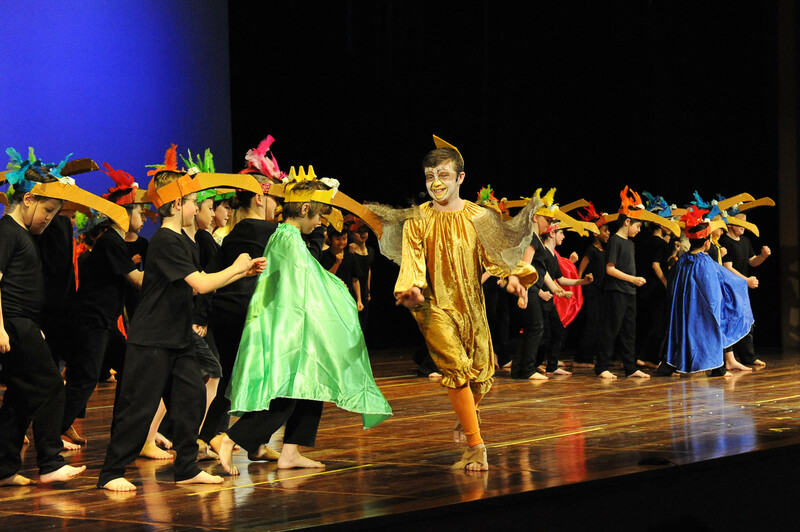 Kalinda's Performing Arts program is a vibrant, extensive and highly valued part of our school curriculum, allowing students with an interest in music, dancing or drama a wide variety of learning opportunities. Each week every grade attends a lesson with our Performing Arts teacher, Mr Paul Todd. Paul provides a broad and exciting program for our students. Children participate in singing, dancing, making music with a wide variety of instruments, music appreciation, music composition and performance. Students look forward to these sessions where they develop their skills not only in music but by using their imagination, ideas and feelings to create, make and present. They also complement the program of the classroom teachers exploring the music of a different culture or period of history. Kalinda is unique among larger local schools in that it stages a whole school production every second year that involves every student in the school. 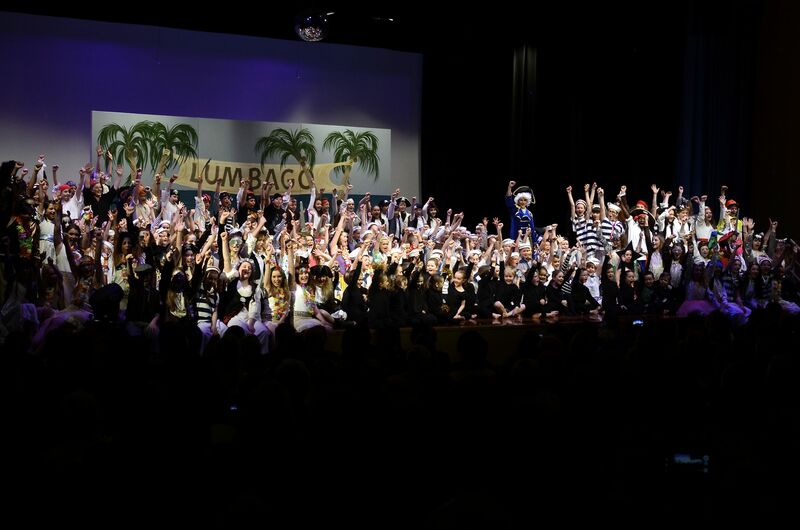 These high quality productions are performed in front of an audience of over 1500 people over 2 nights. Most importantly, every student in our school gets the opportunity to put on full costume and make up and be a part of these incredible special events. We have around 30 children in our Performing Choir. Our Choir performs at various venues, including School Concerts, Open Night, Christmas Carols, assemblies and musical evenings. Our Preforming Arts Teacher Lexi also runs the Choir. This very popular lunchtime activity has a group writing, composing, singing, acting, designing props and costumes and performing their own play. This is performed for a very enthusiastic school community. We are fortunate to have a very keen staff member who is an expert in Highland Dancing and runs lunchtime sessions for some very enthusiastic girls and boys. 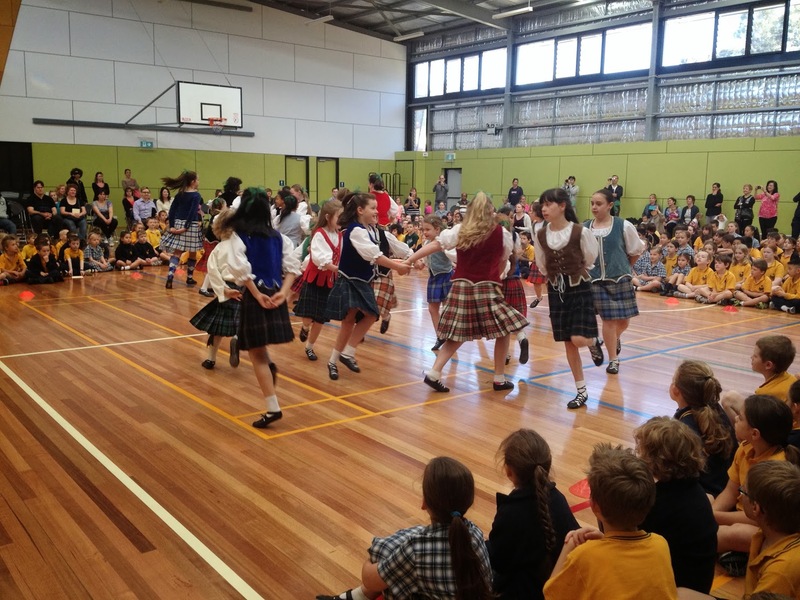 Our Highland Dancers perform both for our school community and at local concerts and competitions. Kalinda offers an extensive user-pays program in Instrumental Music and Dance. These sessions are run for half an hour during the school day and are run in small groups or individually. Wonnies Music teaches guitar, keyboard, drums, dance, singing, woodwind and brass instruments. Concerts are held through the year for parents to attend and individual children perform at assemblies and in music classes. Piano, violin and cello is offered through local music teacher Holly Cardwell. Information regarding private tuition is available at the office. A string ensemble for students who learn violin or cello is run one morning a week. The string ensemble program enhances the private music lessons of students who learn violin or cello from one of our string teachers. The string ensemble perform regularly at school concerts, Open Night and at local community events. Holly runs these sessions as well. The Expressions Rock Band is run by Wonnies Music. The band work together to improve their musicality, skills in performing as part of a group and prepare their repertoire. The Expressions Band regularly perform at Battle of the Bands performance where they were awarded 2nd place in 2012 and 1st place in 2011.